Marketers face the challenge of creating a product that will compete in an already saturated market of consumer goods. Products must differentiate themselves from the competition in order to thrive. One opportunity that is not wasted on marketing experts is the ability to transform a products label into something much more than an information gathering tool. Appealing labels that entice consumers, drawing them from the nearby competition are changing the market place. Below are some tips from label industry leaders to use whether you are launching a new product into the market place or planning on reinventing a classic. If your products label is ineffective and doesn’t appeal to your target market then you have wasted one of the last marketing opportunities your product has. Point of sale marketing is intended to draw attraction to your product using graphics in a different promotional manner. Using a interactive, themed or other types of display option along with a well designed graphic label is a smart marketing method for new products and/or product reinvention. In order to create a label that stands above the competition designers work to allow the colors within the label communicate their message to consumers. Color communicates faster than both the written and spoken word. The colors within your label should be consistent with your brand. In food product labeling it is important to use color to match the flavor of items as well. Blue and green labeling on strawberry flavored beverages just isn’t as effective as using red and green. Images on product labels work similarly to colors in that consumers are quickly influenced by the images message. Images and colors work together to create a message within consumers faster than text ever can. Color and graphic design allow for much more effective visualization. The difficult part for custom product label designers is to balance this with text. Text is an important part of labeling as well. In food product labeling certain regulations mandate the information that must be included. Choose a combination of fonts that speak for the image you are looking to create. Fonts can say a lot about a product. Look to use a combination that speaks to what works for your product. The choice of fonts used for labeling can send their own vibe from classic to artsy; be sure you chose a combination of fonts that creates a clear message for your product. Colors and images cannot communicate everything; words are essential. Make sure you select a typeface that contributes aesthetically to your brand. Don’t overwhelm the audience by using too many fonts or a font that is difficult to read or in a type point that is too small for the average consumer. Nothing turns a purchaser off of your product faster than confusion which is exactly what too many fonts in hard to read sizes does. The launch of a new product is an exciting time for a company. Introducing a product to the world can be made a little bit easier by designing an appealing label that really grabs the attention of consumers. The label design that is created for your product will represent it to consumers around the world. The old adage “you never get a second chance to make a first impression” is never truer than in labeling and product marketing. The label must be notable from the shelf while providing something that moves the customer to make a purchase. Color: Color is used everywhere in the world to influence people. Certain colors can influence how we feel. Using colors in labeling has significance because of the effects they have on people’s emotions; purchasing consumer goods and services is an emotional process. The use of the right colors together increases the emotional appeal of your product. The colors in your label should allow your product to stand out when shelved next to competing products. Font: Another major consideration in label design is the font that is used. The use of font to reflect the personality of your product is important to increase appeal. Avoid using fonts that are generic such as Times New Roman and Arial. Along with using a font that adds appeal to your label it is important that the information contained within the label is readable. Text needs to be easy to read whether consumers are near or far. There are only seconds to catch the buyer’s attention, be sure the label is using a font that can be read upon first glance. Name: This is pretty much a no brainer but here it goes anyhow; the label that you design must include the product, company and/or brand name. Top brands will use this to their advantage as buyers remain consistent and loyal when they have found one that remains consistent. Size: The size of the label will depend a lot on the size of the packaging or container. Do you want to use one label or multiple labels for one product? There are differences in designing a label that wraps around a product verse a product label that will be separately placed on the front and back of the product. The front label may be used for designing and branding whereas the back label can be used for informative elements. Barcode: A product barcode is used to convey a great deal of product information with the use of electronic scanning devices. A Universal Product Code, otherwise known as a UPC is used to keep track of product inventory as well as to increase the safety of products. This one manufacturer number offers a great deal of information to manufacturers. Contact: A product label is not only good for grabbing the attention of consumers; it also gives consumers company contact information. This info is used to foster communication between buyers and manufacturer’s, promotes the company and creates trust for the brand. The contact information most helpful to consumers is the company’s telephone number, physical address, website and social media outlets. Use the factors above to help create a label that is not only eye catching but leads to an increase in sales for your company and brands. How many times have you heard the old adage, “Don’t judge a book by its cover”? Yet, time and time again isn’t it true that you find yourself doing just that. It isn’t just the cover of a book we judge; its people, places, and products. If the outside isn’t what we visually expect we usually don’t take the time to explore any further. As consumers it is natural to only explore the familiar. This is why it is crucial when designing a label for your product that it is designed in a manner that commands attention and seeks to build a visual connection with consumers. There are a number of labeling options available to product manufacturers from shrink sleeves to flexible packaging; the material used in labeling is important in delivering the products message. The label must match your brand on all levels to retain the company’s integrity. For instance, a company that specializes in environmental awareness and promotes recyclability will want to ensure that the labeling material that is chosen represents this objective as well. The label needs to be designed in a manner that draws attention. Bold fonts, vibrant colors, familiar images and other emotion evoking techniques should be employed to maximize the visual nature of your label. Remember that when a product is on a stores shelf it is surrounded by the competition. It is crucial that for your product to be selected that is appeals to the emotions of the buyer. The shape and size of the labels itself must be in line with the packaging of the product. Consider if you desire the focus to be on the product itself or if you wish to give a smaller package a larger shelf appearance. The label size used has a lot to do with how the company wishes to market the product. Don’t under estimate the usage of fonts in creating a brand image. The use of a variety of typography is a tool many marketers use to engage consumers visual senses. It is amazing the volume different fonts speak when setting the tone of your product. When you are considering font styles ask yourself what the font represents and match this with the target you wish to market your product to. The numbers of fonts available are endless. Whether you are going for genuine, creative, original, old school, fun, vibrant, spacey or more there is a font that will represent the image you are seeking for your product. Remember combinations of fonts, as long as they are clear and easy to read, are a great way to help set the product apart from its competition. As the function of labeling continues to grow in importance in today’s global supply chain, many companies are searching for labeling processes that work hand and hand with their supply chain strategy. These companies recognize that labeling has becoming a mission-critical component in their supply chain as they continue to expand globally. Therefore, it’s important to take a closer look at what changes are driving today’s trends in labeling. Demand for color labeling and the expanding role of labeling as a function are just a couple of the trends that have been identified based on input from more than 600 supply chain professionals, from a wide range of leading global companies, in a recent Enterprise Labeling Trends Survey. The need for color printing is becoming more prevalent across all industries in order to meet evolving regulatory, customer and corporate branding requirements. Today’s global companies are outlining plans to increase the purchasing of enterprise software and color print technology sufficient to meet their color labeling requirements. Support for color printing is gaining in popularity as companies strive to eliminate the need for pre-printed label stock while reducing the occurrence of waste. Companies are embracing color print capabilities for to facilitate a range of capabilities. Labeling continues to play a critical role in meeting industry standards and regulations. Companies today are placing even more importance on the value of their brand. As a result, they are demanding more than ever that labels reflect the colors that are fundamental to the company’s brand. Supporting color printing not only enables compliance to meet key regulatory mandates and evolving business requirements, it removes the need for pre-printed label stock, helping companies save time and money. As labeling in today’s global supply chain becomes more complex, companies are realizing the vital role it plays in meeting customer and regulatory demands. Labeling, which intersects the supply chain at all levels, is becoming more prominent, involving multiple departments at global organizations and requiring specialized attention. Those departments include IT, Operations, Regulatory, Warehousing, Supply Chain, Manufacturing, Marketing and even Sales to name a few. Companies are recognizing the importance of coordinating labeling. In many cases they are establishing labeling groups or roles to manage labeling. There are three important reasons why companies are beginning to see labeling as a separate function. With the number of people and corporate groups involved in labeling growing rapidly, it’s becoming increasingly important to provide labeling solutions that can meet their varied needs. To this end, companies are beginning to centralize labeling and access to key sources of label data to ensure that labeling is able to meet these diverse labeling requirements. As businesses extend their reach across the global supply chain, they are looking to standardize their labeling solutions and maintain consistency with their labeling. Establishing a dedicated labeling role offers oversight to ensure that the business is adhering to both regulatory guidelines in each international region, while meeting unique customer demands throughout the company’s global supply chain. With nearly 60% of those polled reporting that their customer specific labeling requirements have increased since last year, it is clear that labeling requirements are more demanding and variable than ever. To meet these demands, organizations must be able to efficiently manage complex, variable data and formatting on their labels and do so quickly. Companies are striving to meet customer specific requirements in an efficient and timely manner. However, to meet these standards labeling needs to be both dynamic and data-driven. Customers are demanding that their vendors meet a wide range of unique and variable labeling requirements including formats, barcodes, labels, languages and data attributes. When it comes to managing the label creation and update process, companies need to enable business users to manage label design. Companies today are faced with complexities and variations in labeling that they didn’t need to deal with in the past. Regulations and the speed at which they change are continuing to have a significant impact on businesses today. With new standards and regulations dictating requirements across a wide range of industries, labeling has become a critical function for meeting compliance. However, constant change is necessary to comply with evolving requirements, therefore labeling must be both dynamic and data-driven for companies to quickly respond and avoid fines, supply chain disruptions and even loss of business. Evolving regulations continue to impact business. The effect of regulations and emerging standards continue to impact businesses globally. There are a vast array of evolving regulations, which span across a wide range of industries such as chemical, food and beverage, medical device and pharmaceutical and electronics. As regulatory requirements increase, companies must find efficient ways to showcase unique data attributes and formatting standards including character level formatting, pictograms and other regulatory content. Many regions across the globe maintain or are developing their own specific set of standards. These distinct requirements further complicate the regulatory landscape and must be met if companies want to do business in a specific market. 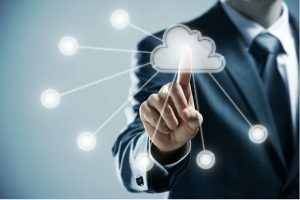 Cloud and other emerging technology platforms continue to revolutionize the way companies conduct business and execute business processes. As companies continue to think differently about how applications will be delivered, they are at the same time beginning to think differently about how labeling is incorporated with their business and deployment models. There are a variety of important reasons for embracing new deployment models. Businesses are centralizing labeling to improve consistency across their supply chain. Using a centralized deployment platform offers great flexibility, providing complete control over how capabilities are deployed over a global landscape. Companies seeking global deployment for labeling are utilizing browser-based applications, which can dramatically reduce the burden of installing and maintaining labeling systems at individual locations. Technology continues to revolutionize the way companies conduct business and execute business processes. Cloud-based computing offers endless possibilities for outsourcing applications and computing infrastructure. Some companies are looking to integrate labeling with existing cloud-based systems or are looking for solutions that can be part of the adoption of this deployment model.